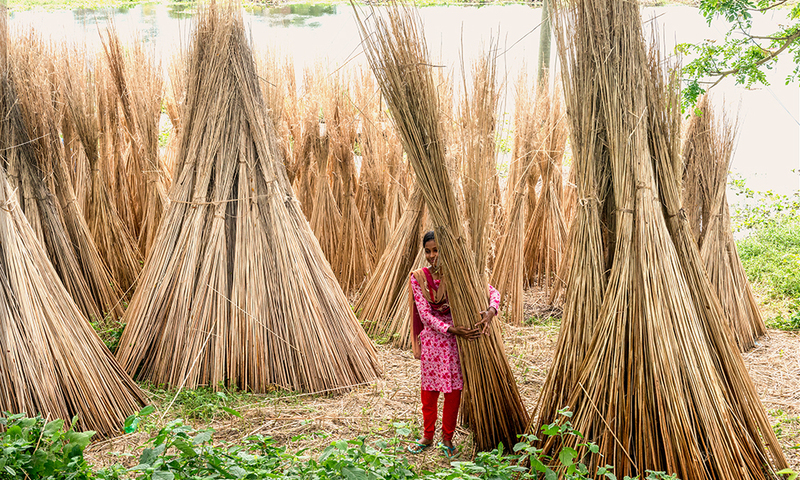 Woven patternWith Uno, broad strips of jute are adhered together, with the result that the edges overlap. This creates a beautiful, subtle effect, and leaves this design just shy of smooth. 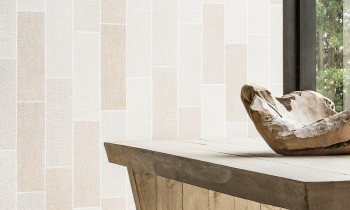 Uno stands out in its simplicity, whilst the woven pattern creates an authentic, natural look & feel. 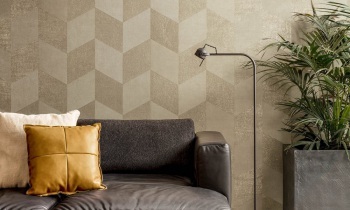 Fully contrasting opulenceA foil lustre creates the Diagonal look. 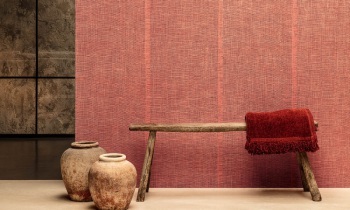 The design illustrates perfectly how contrasting materials – in this instance jute and foil – enhance one another. Close up you can see how some pieces of jute are more finely woven than others. 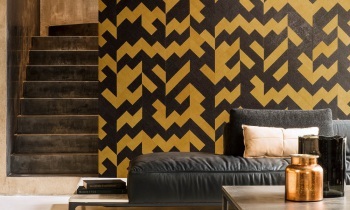 This subtle contrast lends the chevron pattern a luxurious touch. PatchworkAlign is a patchwork design in which random sections of jute are roughly stitched together. By working with a metal pigment base, the design acquires a subtle lustre. The Align pattern has an amplifying effect thanks to its vertical dynamics. The subtle colour modulations add to this effect. EccentricThe eccentric Mix design is a little more eclectic than its delineated Diagonal counterpart. Ideal for design enthusiasts with pronounced taste. Like Align, the print comprises random patchworking, offering a unique effect time and again.